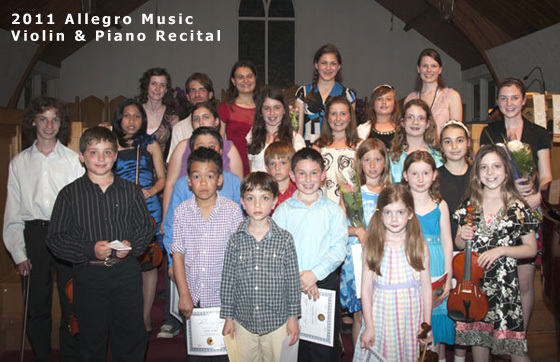 Each year, Allegro Music holds a Spring Music Recital. Students from our school come together to perform a piece for friends and family highlighting their achievements and progress from the past year of lessons. Participation is optional. 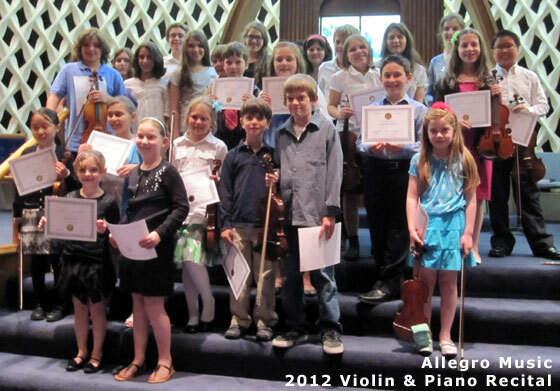 We do our best to make the atmosphere relaxed and fun-filled.